Watch the trailer of 'Loving in Tandem' here! The charming teen housemate winners of Pinoy Big Brother: Lucky 7 finally have their debut movie with the trailer coming out just yesterday. Loving in Tandem, their first film under Star Cinema, stars PBB love teams MayWard (Maymay Entrata and Edward Barber) and KissMarc (Kisses Delavin and Marco Gallo). 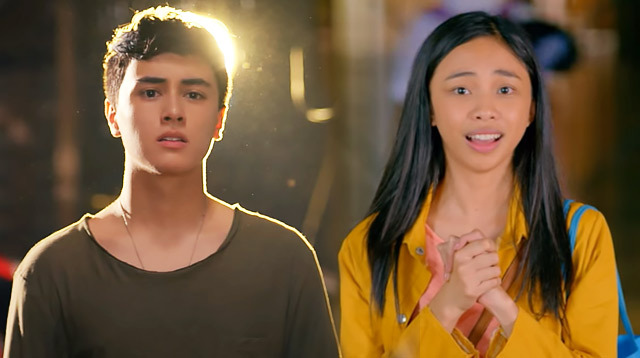 The trailer shows Shine (played by Maymay), an awkward but adorable girl who prays for an angel to help her. Edward is hottie foreign student Luke, who becomes her love interest. Kisses and Marco serve as friends of both Maymay and Edward in the preview. Loving in Tandem looks like a Cinderella-esque rom-com for Pinoy millennials full of youthful kilig. Loving in Tandem premieres in cinemas on September 13.